Indie Retro News: Open Fodder - Open sourced Cannon Fodder reaches version 0.9! Open Fodder - Open sourced Cannon Fodder reaches version 0.9! 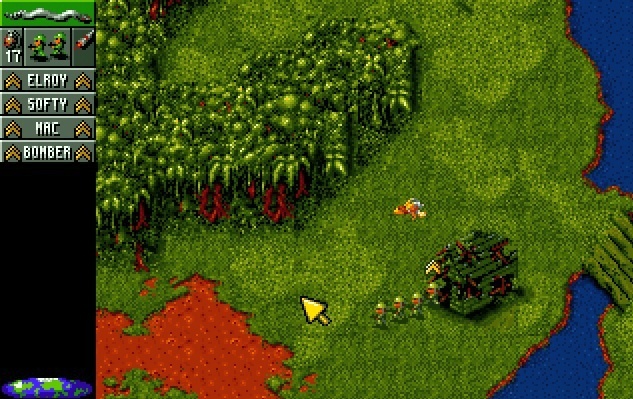 In 1993 Sensible Software and published by Virgin Interactive released one of the best top down war based shooters I have ever played in my life (War has never been so much fun). It was none other than Cannon Fodder (wiki)! An action-strategy shooter first released for the Amiga and then ported to DOS, Atari ST, Archimedes, Jaguar, Mega Drive, SNES and 3DO. But the news of today comes from Robert Crossfield, the developer behind the open source port of the original as ' Open Fodder '. This open source port by Robert is based upon the DOS CD version and to keep in line with the original game, the game is military-themed and based on shooting action but with a strategy game-style control system. The player directs troops through numerous missions, battling enemy infantry, vehicles and installations. Furthermore, it compiles on Windows, FreeBSD and Linux (It only requires SDL2, SDL2-Mixer) and comes with 2 demos, and has support for the DOS-CD and Amiga files. If you have the original game or want to try the demos you can grab the latest releases from the link below!